The artwork Mothership with Standing Matter is a sculpture designed by Antony Gormley. It is situated inside a pavilion designed by the Norwegian architecture firm Snøhetta. Mothership with Standing Matter is located at Jernbaneparken in Lillehammer and is the first thing that people see upon arriving to the city by train. The sculpture by Antony Gormley stands upright inside a concrete pavilion. 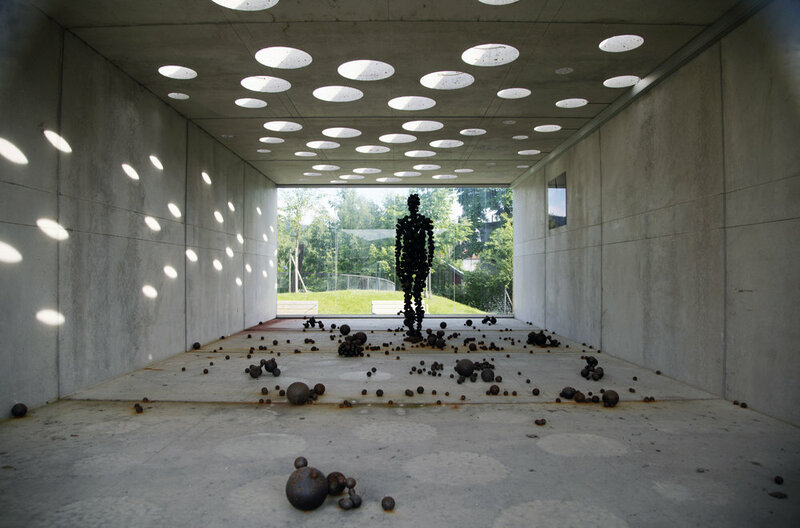 Through this sculpture Gormley explores the relationship of the human body to space at large. The sculpture in Mothership with Standing Matter measures 190 cm in height. It doesn’t have a uniform cohesive shape, but is comprised of steel balls of various sizes. This gives it an ephemeral and transparent expression. Some of the balls have accidently fallen off the sculpture and scattered onto the floor. It is as if the sculpture is about to disintegrate. The sculpture’s placement inside a compact room creates an effective contrast to the sculpture’s evolving character. Jernbaneparken in Lillehammer is a good location for the sculpture since it allows large numbers of people to experience the artwork. Gormley uses his works in different ways to question people’s function and role in society; their relationship to one another either in hectic urban situations or in more deserted, remote locations. Gormley is an accomplished British sculptor. Since the early 1980s he has mainly created works taking the human body as his subject. He often uses his own body as mold for the sculptures. His most known works however, are of a much larger scale than his own body; for example the enormous Angel of the North (1998) located in Gateshead, England. 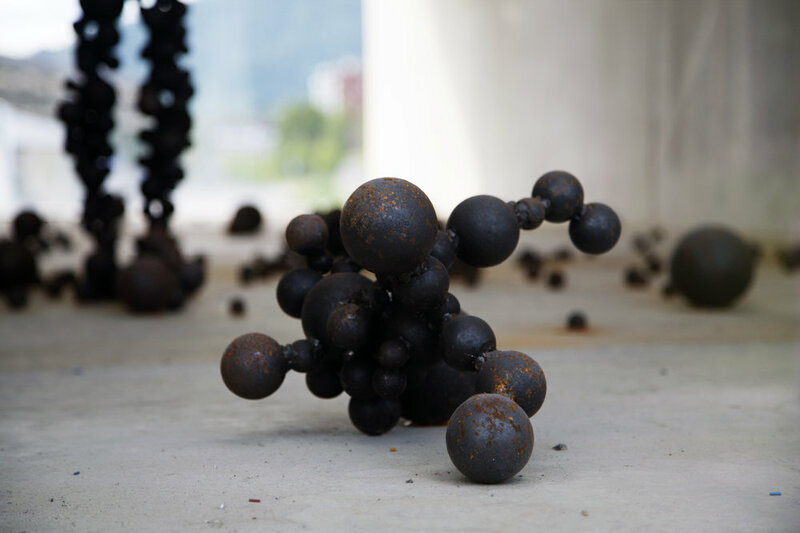 Gormley works with several different materials such as clay, fiberglass, cast iron, steel, metal, and granite. Snøhetta is a Norwegian architectural firm which has made a name for itself internationally by winning several competitions with its innovative buildings. Some of the firm’s notable works include the Library of Alexandria, Egypt, the Lillehammer Art Museum, Norway, and the New National Opera House in Oslo, Norway. Lillehammer is both a municipality and a town in the county of Oppland, Norway. It is located at the northern end of Lake Mjøsa. The town is the administrative centre of Oppland county. Lillehammer hosted the 1994 Winter Olympic Games. The location of Mothership with Standing Matter in Lillehammer was important since this is also the location of one of Snøhetta’s first large projects, namely the Lillehammer Museum of Art. Gormley also wanted his artwork to be situated in an urban location where people move around. In this respect, Jernbaneparken in Lillehammer was an ideal location.